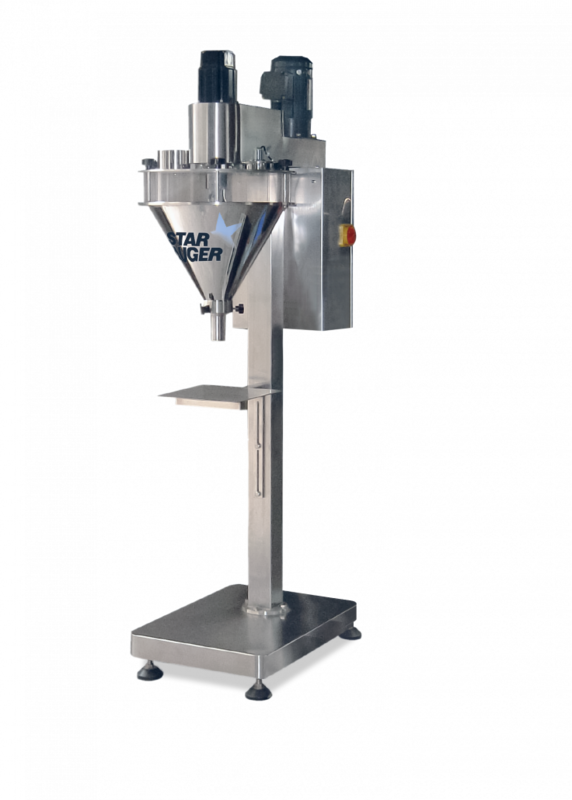 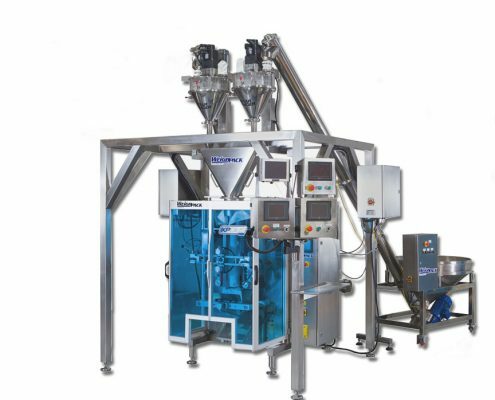 The servo driven Star Auger automatic filling machine offers precision, speed and versatility when handling powders and granules. 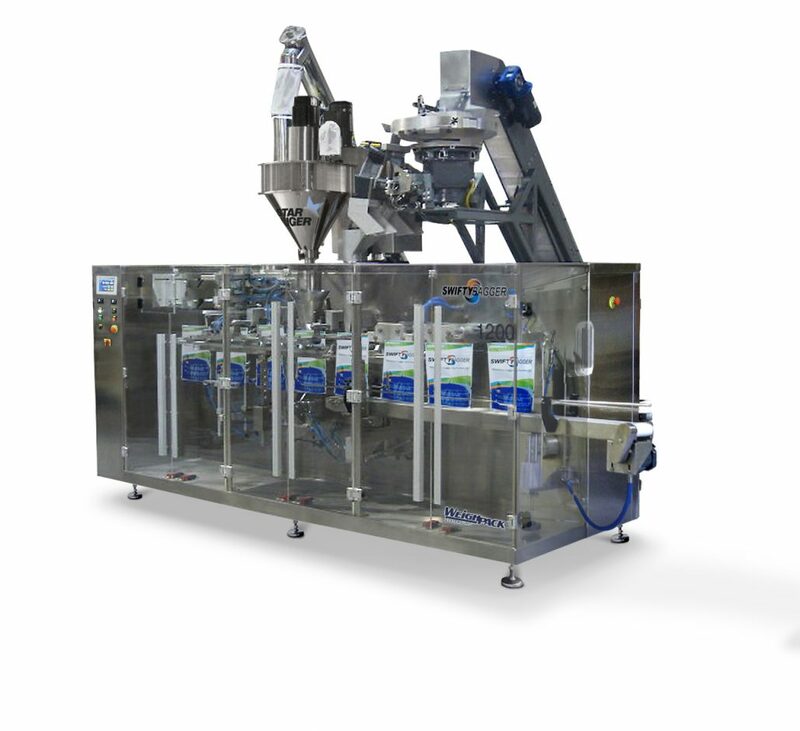 This Servo-Driven auger filling machine is built to match your specific product requirements. 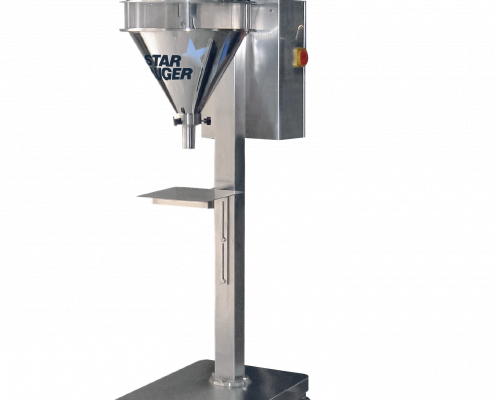 Its stainless-steel construction, easy-to-remove tooling and hopper allow for simple cleaning and maintenance. 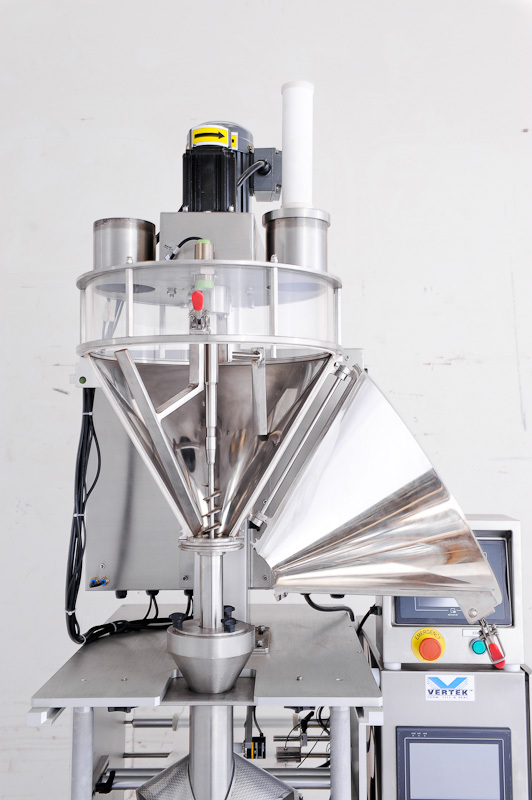 Auger filling technology is most commonly used in applications requiring portioning and dispensing of powders, spices, coffee grinds, chemicals, flour, sugar, salt, baking mixes and other products with similar characteristics. 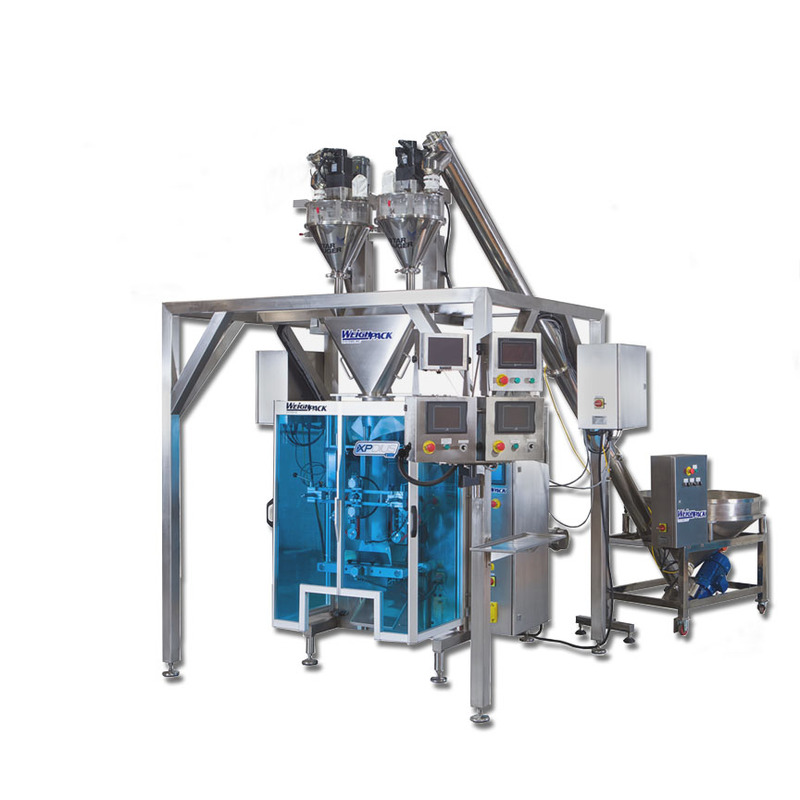 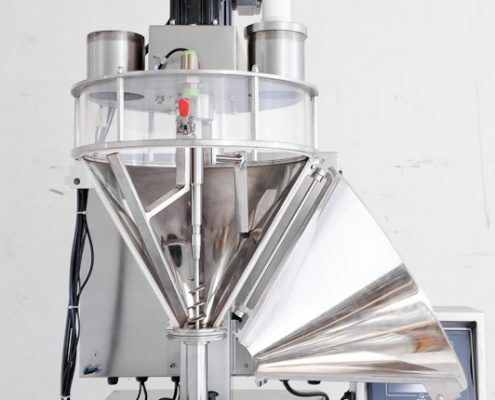 Our auger filling machines for powders are designed to accurately dispense your product by using a custom designed screw that will dictate how many revolutions are required to volumetrically achieve your desired weight. 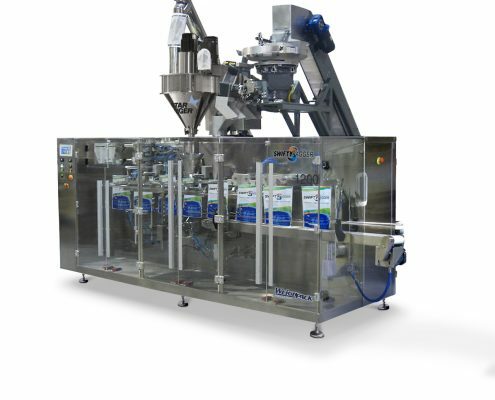 All models include PLC controls, color touch screen, servo motor with drive for repeatable long term performance, stainless steel construction, easy to access product hopper and available feedback controls allow for fill volume adjustment, error correction, and accept/reject tolerance control. 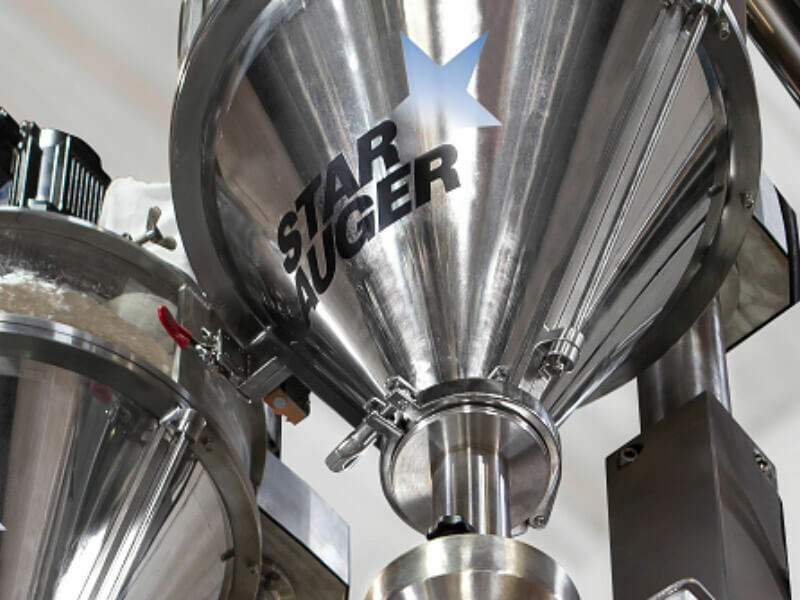 The Star Auger dispensing machine can be integrated with any auxiliary machine including vertical form & seal, horizontal form & seal, pre-made pouch machines, automatic container indexers and jar lines.